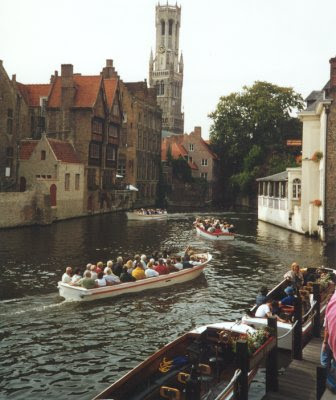 I am going to Bruges with Christopher for the day tomorrow!! An early night, as I have to wake up at 5am!! I will be there for a day and come home late Saturday night-I hope the weather is not too bad! The forecast predicts cloud and rain and sun? Have a lovely weekend everyone-I eagerly await my blogging on Sunday-ha ha!! Hope You have a great time, Sharon!Check out my fedora post when you get back. Hi Wendy-thanks so much, am looking forward too it!! Hi Silje-thanks a lot-I'm quick off the mark, you have a comment already-ha ha!! Have a fun weekend as well! Hi Style du monde-thanks so much and you have a good one too!! Beautiful place. Hope you have fun! have a smashing time! look forward to the photos! rain cloud and sun? sounds pretty mixed to me ^^ hope you have the best weather possible!!! Hey, hope you have a great time, i will be awaiting your post on sunday. Oh how lovely, Have fun! have a wonderful and safe trip! take a bunch of pics to show us!! Hi nay'chelle-had a fantastic time, thanks!! Hi p-yes, it was excellent-I will be posting photos and a new post later!! Hi cate-there was no rain-it was warm and nice!! Hi fashion-obsessed-thanks, it was brill, I will post later!! Hi marte-thanks, it was ace! Hi fashion chalet-thanks for participating-will check you out!! Hi kc-I'm so pleased you are going out thrifting!! Hope you found some good bargains!! Hi pammish-thanks so much-will post in a little while with piccys!! Hi danz-it was excellent, thanks so much!! Hi fashiondreamer-thanks so much and I'll add you too!! Hi wendy-thanks, it was fab!! Hi mikkle-thanks so much, will be posting in a little while!! Oh how lovely. you got Bruge I got North Wales and service stations! Hi Kate! Oh, I hope it wasn't too bad for you! !